Rather surprisingly, this extremely limited edition recording first showed up in Hungary a good 34 years after its inception. It’s a strong and valuable addition to the Hungarian guitarist’s recorded legacy – and one that deserves a wider hearing than even this outstanding release affords. Gabor Szabo hadn’t been back to his homeland since he was forced to flee in 1956. In the mean time, he became a renowned jazz guitarist in the United States and was accorded some modicum of crossover success throughout pretty much everywhere in the world except Hungary. Still, he was treated like musical royalty upon his first return to his homeland in 1974 (oddly it was his last trip to his native land in 1981 where the guitarist fell ill and died). Hungarian TV offered him a program performing the music of his choice with Hungarian musicians of his own choosing. 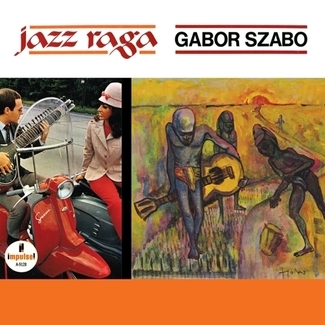 The program, recorded on September 12, 1974, was broadcast in Hungary only in two parts in May and August 1975 – the first such show ever devoted to jazz music broadcast on Hungarian television. The program, nearly an hour in length, is mostly remarkable in every way, musically, artistically and, more importantly, one of the strongest official recordings Szabo made during the time. If there was to be one single recording of Szabo’s during the 1970s to hear and or to have, this is the one. The CD’s unique packaging has the glossy mini-LP sleeve fold out into an eight-panel poster with many photos from the show (color on one side, black and white on the other) and extensive liner notes – in English! 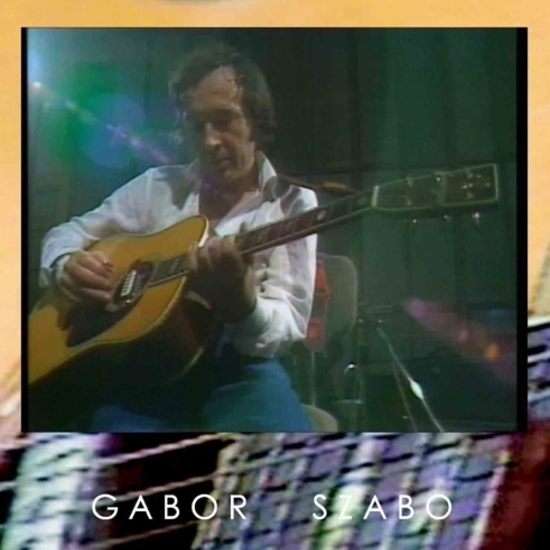 – by László Kovács detailing the origins of the program, a translation of the interview Szabo provides during the program, a reference to the guitarist’s Hungarian biography (by Károly Libisch), the guitarist’s Hungarian discography and filmography and biographies of the participating musicians.